This is something I wouldn’t have even thought about and had no idea was available actually until we were sent the DreamBaby Sliding Door Safety Decals. Did you know that an estimated 3,600 children in Australia sustain serious glass cut injuries each year, many from window and door glass? Unfortunately over 25% of Australian homes have unsafe glass situations, and/or glass which is not safety rated or reinforced, particularly in older homes and in homes which were built before the introduction of shatter-proof glass. Prevention of accidents involving all glass areas is VITAL. 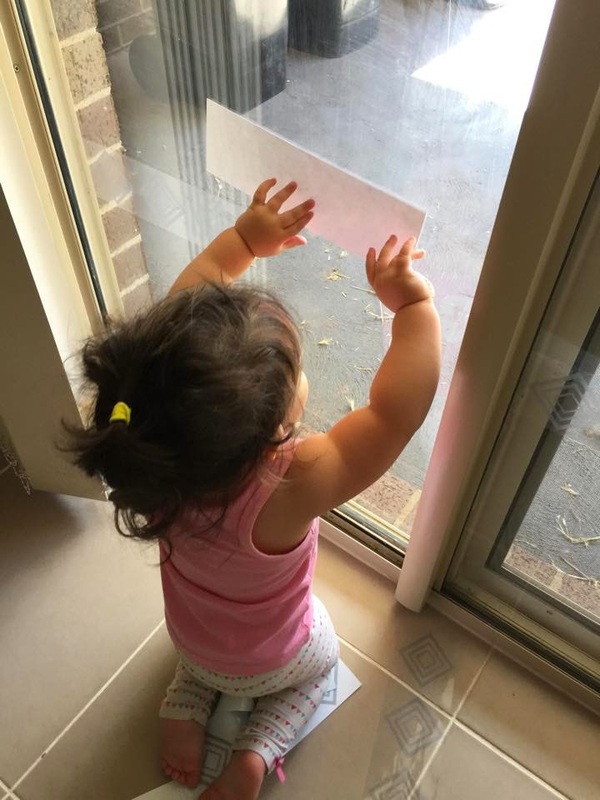 Dreambaby® Sliding Glass Door Safety Decals are ideal for preventing dangerous accidents that can happen when a child runs into a closed sliding glass door. The decals are visible from both sides of the door, helping children (and adults) realise the doors are closed. Only a few days ago did I see my little Niah bang straight into the glass sliding door in our home thinking it was open and that’s when I knew it was time to get the decals up as they were needed especially now that Niah is walking. These decals are perfect for those who are renting or want to be able to take off and adjust height of the decals time after time as their little one grows. The decals peel straight off the glass without any stick adhesive and can be adjusted as needed. I did find that Niah was peeling them off the glass unfortunately so I recommend that when you are placing your decals up don’t allow your child to see you put them into position and hopefully they won’t feel the need to rip them up and play with them on the glass like fridge magnets. 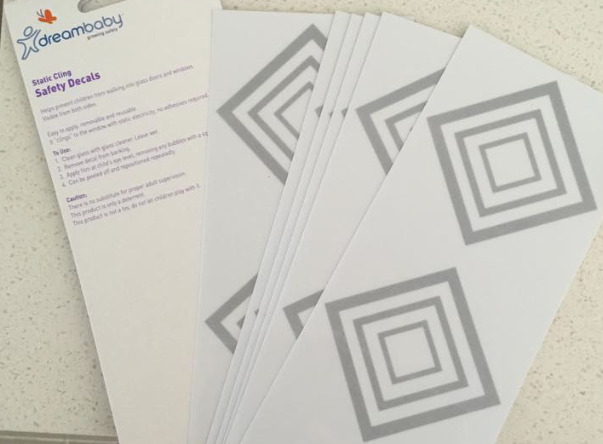 The Dreambaby Sliding Glass Door Safety Decals (RRP $5.95) come in a pack of 6; which are grey in colouring and diamond like shaped. For a double sliding door you will need at least two packs of 6 to be able to create a line across the whole area. What a great idea. We have a glass door and I always worry about this when the kids are around. sliding window needs the safety look system, this is nice article...!